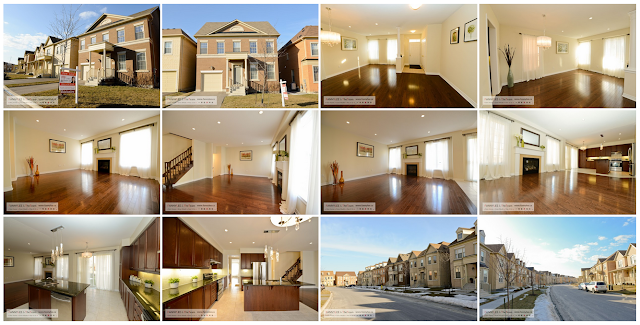 12 Quinton Dr in Cathedraltown and 120 Walford Rd in Markham were sold very quickly. Yes, there are a couple more happy seller families. 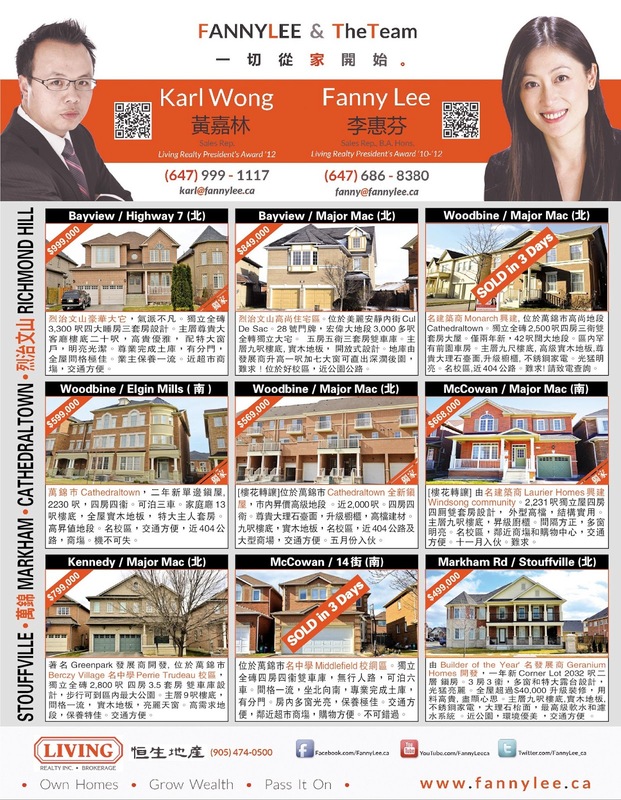 Our current ads feature homes in Cathedraltown, Markham, Richmond Hill and Stouffville. 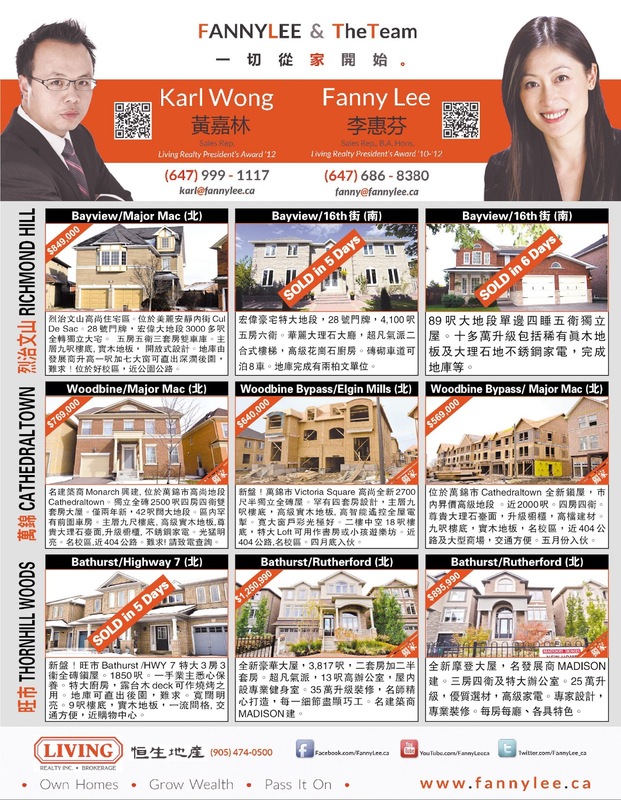 There are also assignment sales opportunities in Cathedraltown High St area and Windsong in Wismer, Markham. Interests? questions? Email, Facebook or Tweet us. High St, located between the Cathedral of Transfiguration and Woodbine Bypass , will be a happening place as there will be shops, offices and cafés where folks work and live. 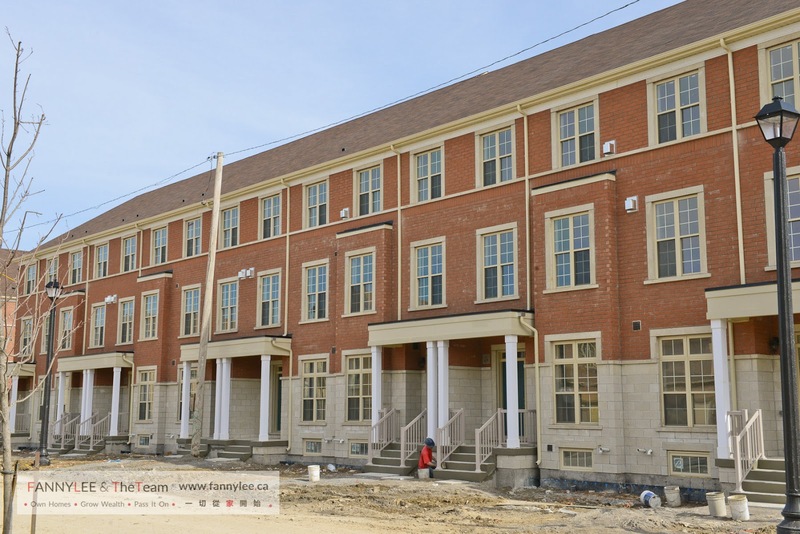 A few streets of Georgian styled townhomes are being built in this central area of this urbanized community next to highway 404. For those who are inspired by the Cathedraltown's urbanism with an European flair, 7 Empress Australian Lane is perhaps what you have been waiting for. 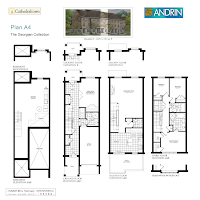 This Andrin Homes built 2,100 sq.ft. 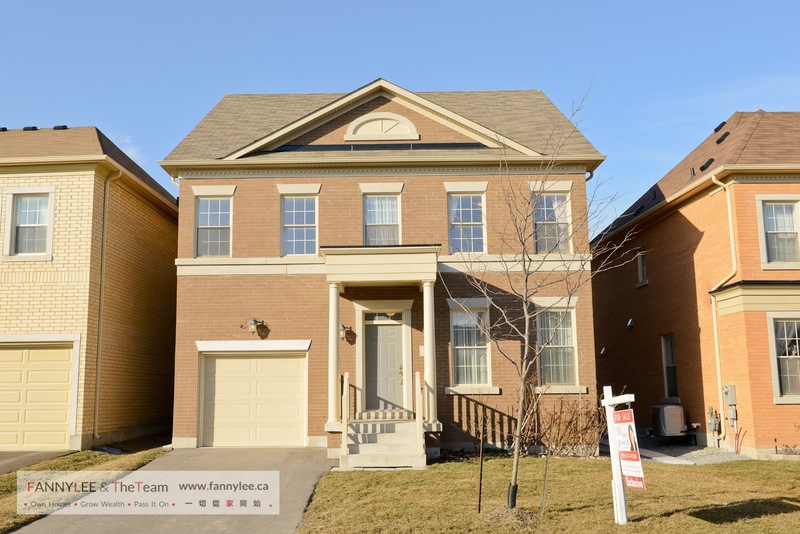 4 bedroom freehold townhome come with many upgrades and ready-to-move-in shortly. For more details, refer to MLS # N2626902. Book a showing today. 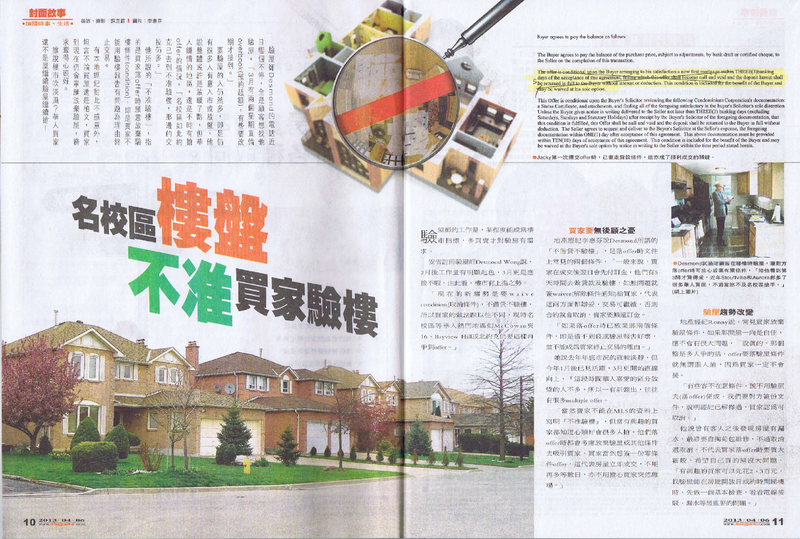 Ming Pao Saturday Weekly [ 明報星期六週刊 ] continues to cover issues that matter to our daily life in Greater Toronto. Jacqueline So has kept the readers current on hot topics realted to housing / real estate markets (she cover other areas, too). 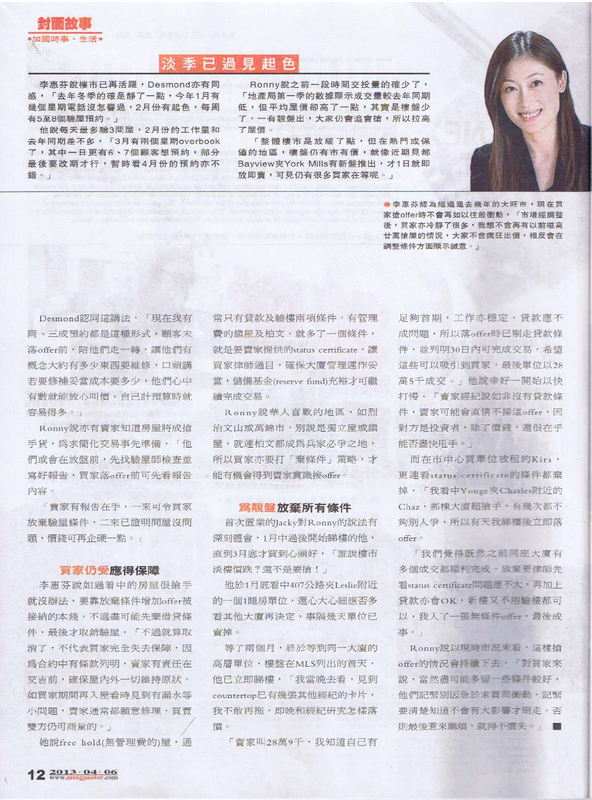 Her cover story of April 6 titled: < 名校區樓盤不准買家驗樓 ＞ shared home buyer experiences where inspection condition were expected to be waived when they went after listings in popular communities. Again, it was a honor to have the opportunity to contribute to Jacqueline's well written and in-depth article. (read articles that I previously contributed) Recommended. 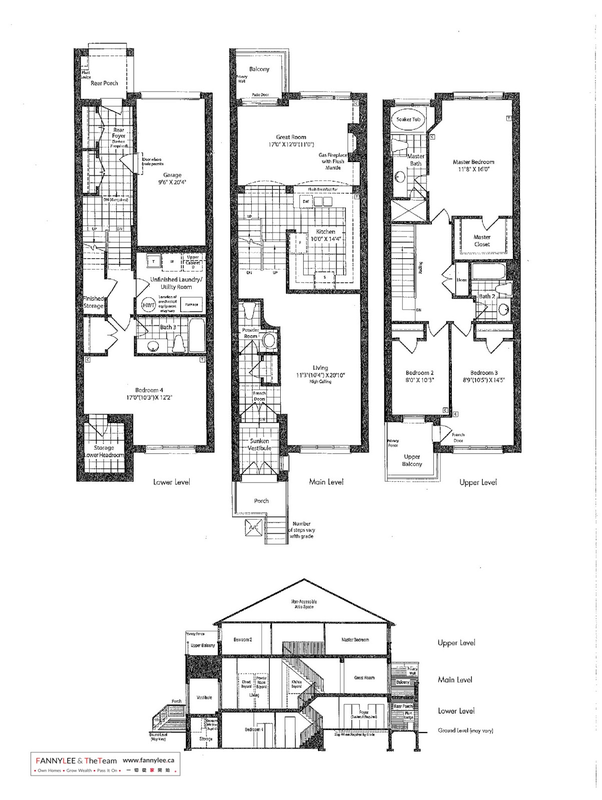 Here is a scanned one to your ease of reference (click to expand). 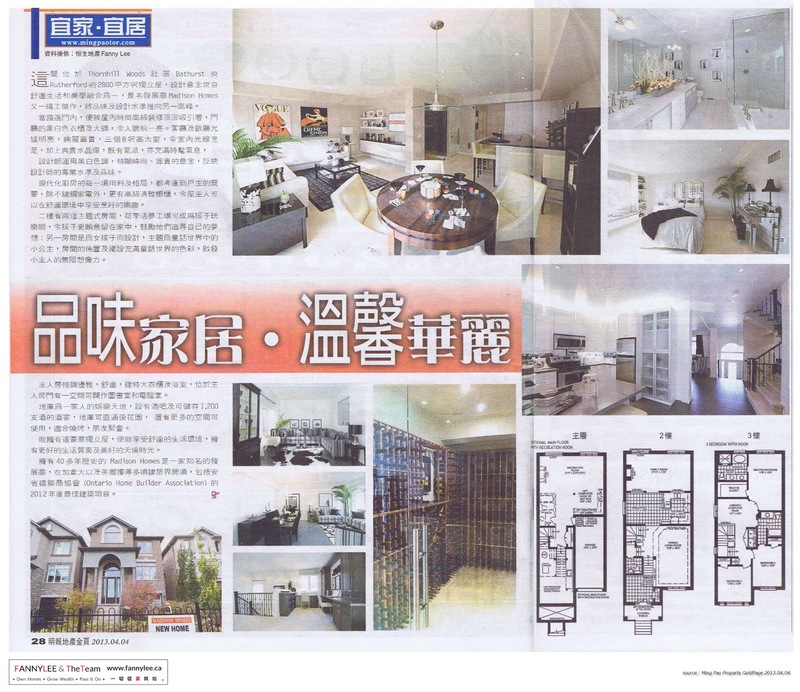 Look out for more great pieces coming up on Ming Pao Saturday Weekly, complimentary with Ming Pao Daily on Saturday. 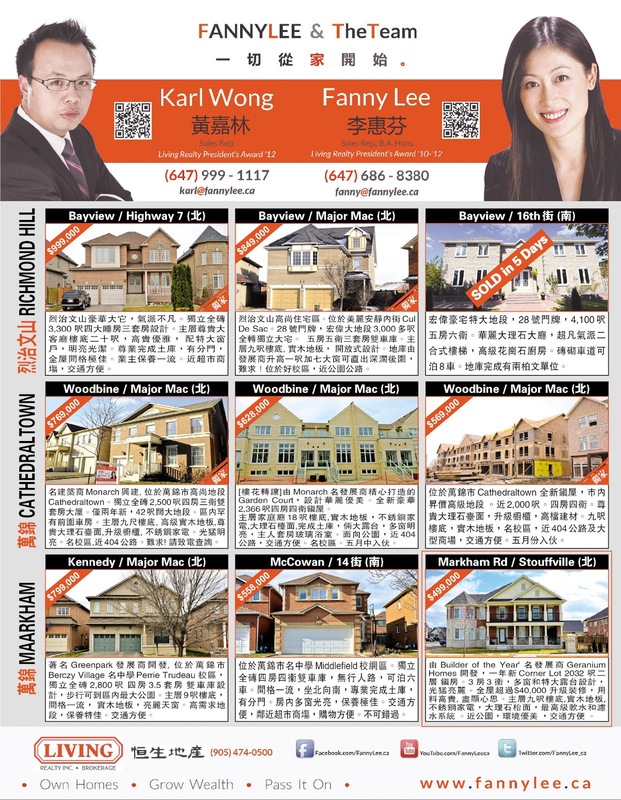 Here are some of the ads running in this cycle, featuring new listings in Cathedraltown, Markham, Richmond Hill and Stouffville. Interests, questions? Email, Facebook or Tweet us. 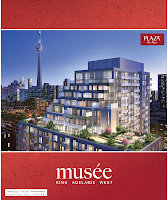 Great project from Plaza Corp once again, especially when there is a VIP Platinum Agent offer. 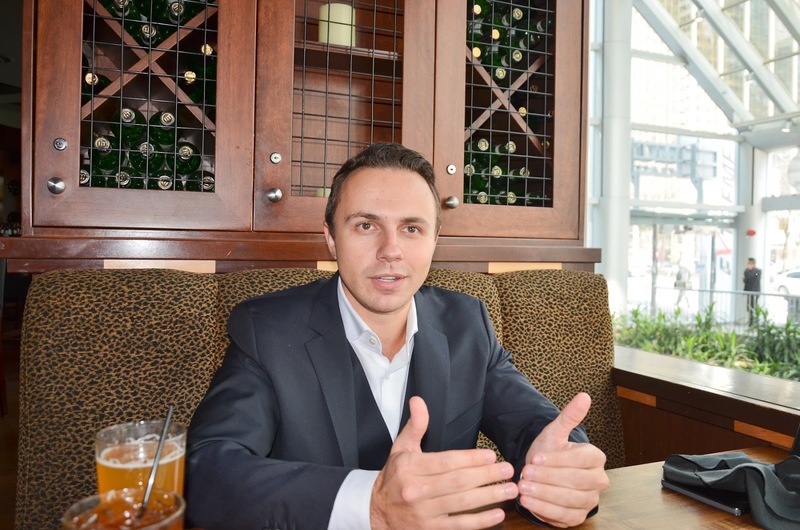 That is why our brokerage features this project. And we, of course, try hard not to let a good opportunity slip away from our patrons. First come, first serve. Contact and connect with us. 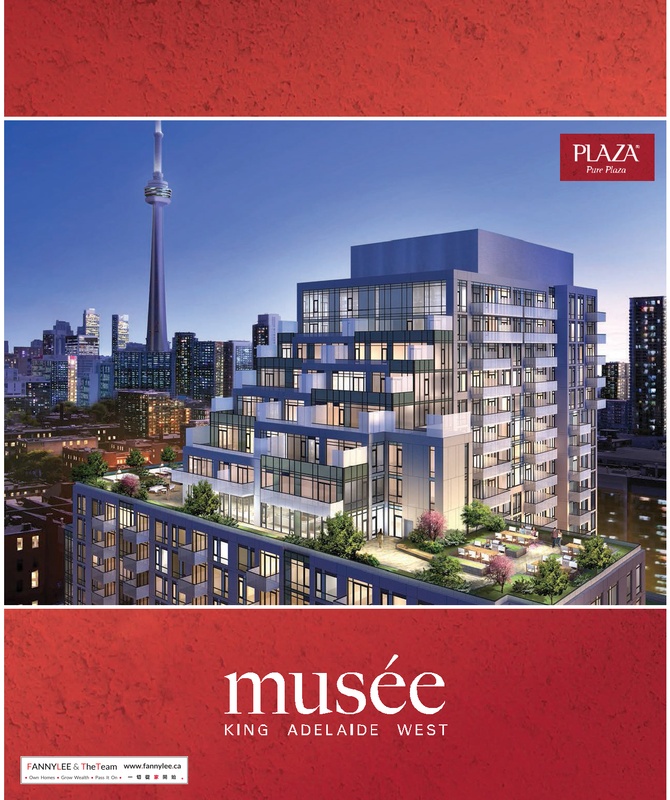 Victoria Commons Condos, Kitchener / Waterloo, starting from $189,900 with parking plus special VIP incentive. 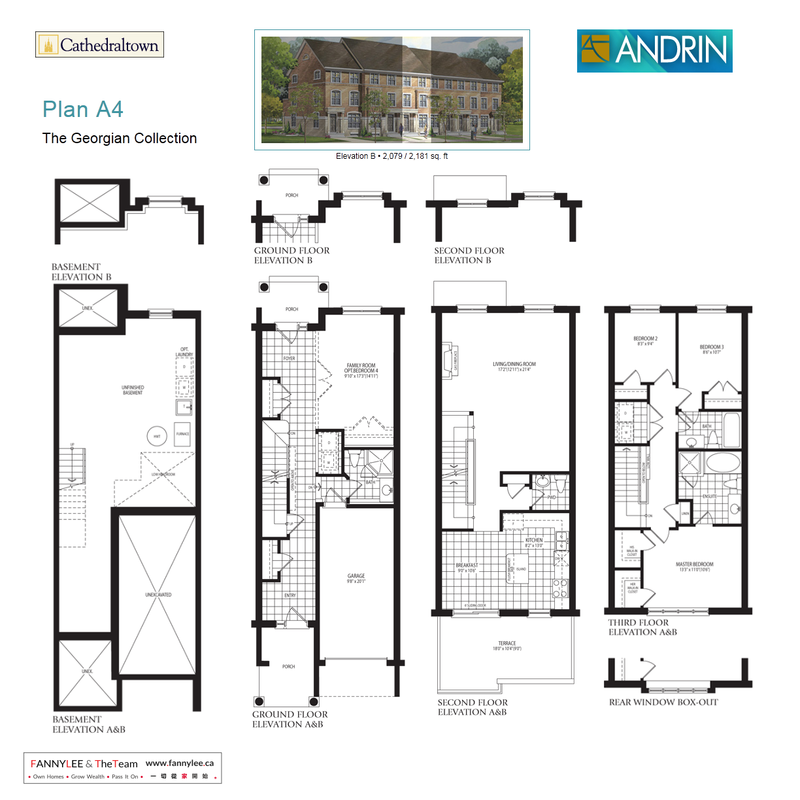 Soon exclusively through our brokerage. This is a limited time offer. Contact or connect with us for details. * SOLD * On McCowan, south of 14th Ave and north of Scarborough, there stands the Armadale neighbourhood - a neighbourhood with historical significance. This is where Middlefield Collegiate Institute (ranked 32 out of 725 secondary schools in Ontario) resides. This is where many started their families and prospered. * SOLD * For those who have been following us here or on social media, it is obvious that we admire Cathedraltown: the overall concept, the development, the people, our friends and clients, the potential. We even have a tagline for this community: "Cathedraltown. Serene. Unique. Outstanding." This sentiment is shared by many. 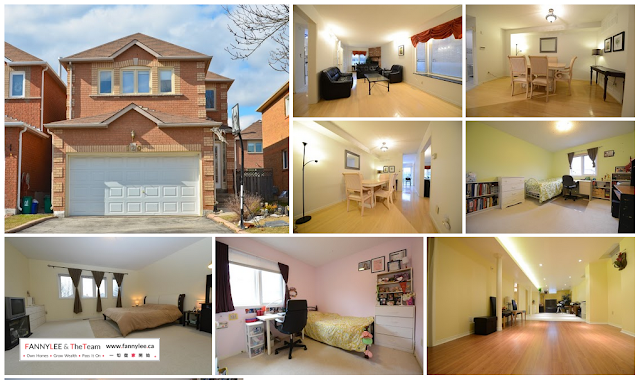 That's why this Woodbine / Major Mackenzie neighbourhood has been steadily growing in popularity, population and value. [ 簡介 ] 名建築商Monarch興建, 位於萬錦市高尚地段Cathedraltown。獨立全磚2500呎四房三衛雙套房大屋。僅兩年新，42呎闊大地段。區內罕有前園車房。主層九尺樓底, 高級實木地板,尊貴大理石臺面,升級櫥櫃, 不銹鋼家電。光猛明亮。名校區,近404公路。難求! TheTeam: Angel, congratulations on your new purchase. Heard from Fanny that you are first time home owner. Could you share with our friends your experience? Angel: Confused. The first time! 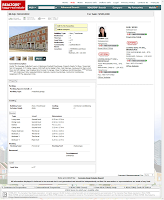 We searched through MLS and found many properties that we liked. Then we shared these with Fanny. She really put in the effort to find more similar listings - some we found, some we didn't see, some were in the nearby areas. This gave us a wider range to work with. She arranged to show us all these properties. She knew that we couldn't afford some of these or really like some others. However, she didn't mind to take the time to go and check out those homes with us. We really appreciated that. 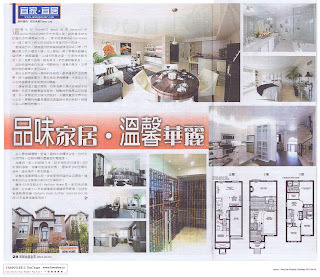 Ming Pao (明報) Property GoldPage featured the stylish Madison Homes built 26 Gesher Cres, Thornhill Woods on April 4, 2013. The title was [品味家居•温韾華麗]. This translates to [ Stylish Home • Warm and Elegant ]. For our readers who read Chinese, here is the full text, in case you missed it. Monarch Garden Court in Cathedraltown is almost completed. 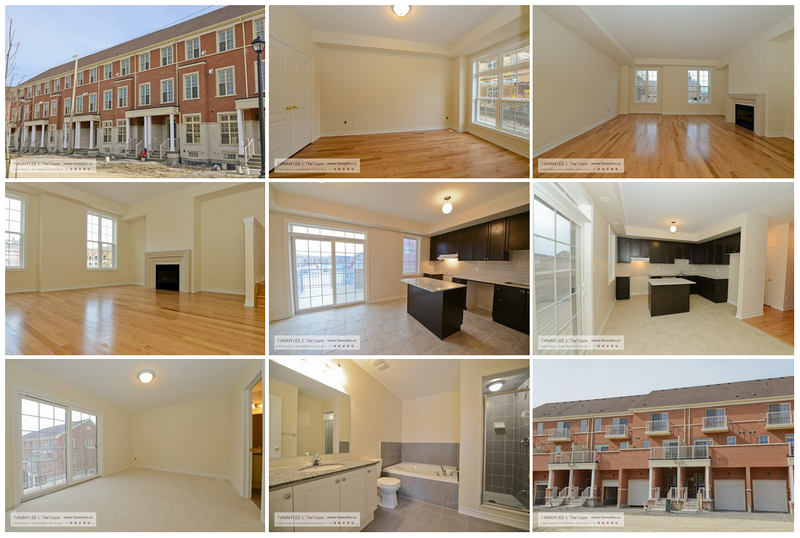 Some of these beautiful townhomes completed closings while some others are yet to finish the formalities. There exists opportunities for one to be the first hand owner of Garden Court home. 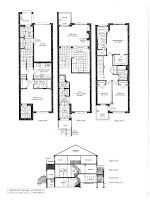 A Victor Herbert Way unit is available for assignment sale. This 4-bedroom 2,236 sq.ft townhome comes with a grand double-door entry, family room with 13 ft ceiling and hardwood floor throughout main and 2nd floor plus many, many upgrades. Of course, the balcony and terrace is integrated with inspiring courtyard of nature and serenity. Time is the essence. You could book a showing online. Contact us at (647) 686-8380 or via emailfor details. "... 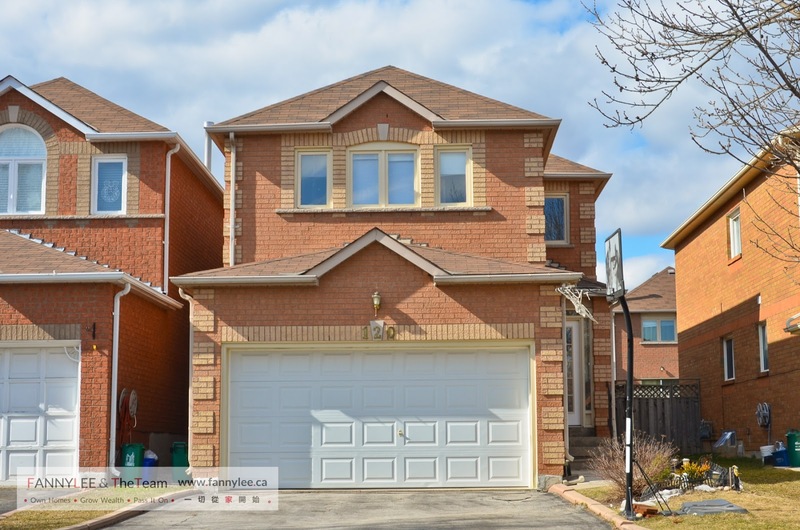 While some households have put their decision to purchase on hold as a result of stricter lending guidelines or the additional Land Transfer Tax in the City of Toronto, other households simply haven't been able to find the right house due to a shortage of listings in some market segments," said Toronto Real Estate Board President Ann Hannah with the release of March 2013 GTA home resales data. 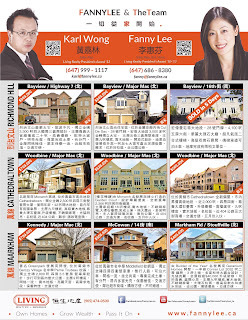 - There were 7,765 resales in March in Greater Toronto. It was -17% from 2012's March. The average home sold price was $519,879, +3.8% versus a year ago. - Compared to Q1 (Jan.-Mar.) 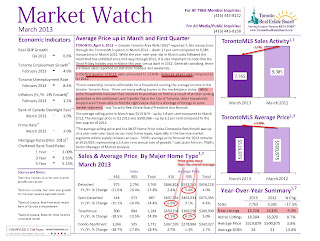 of 2012, this quarter recorded -14% in number of resale transactions and +3.2% in home average sale price. - Semi-detached, townhouse segments in 416 area; detached, townhouse segment in 905 area grew more than the average growth rate. 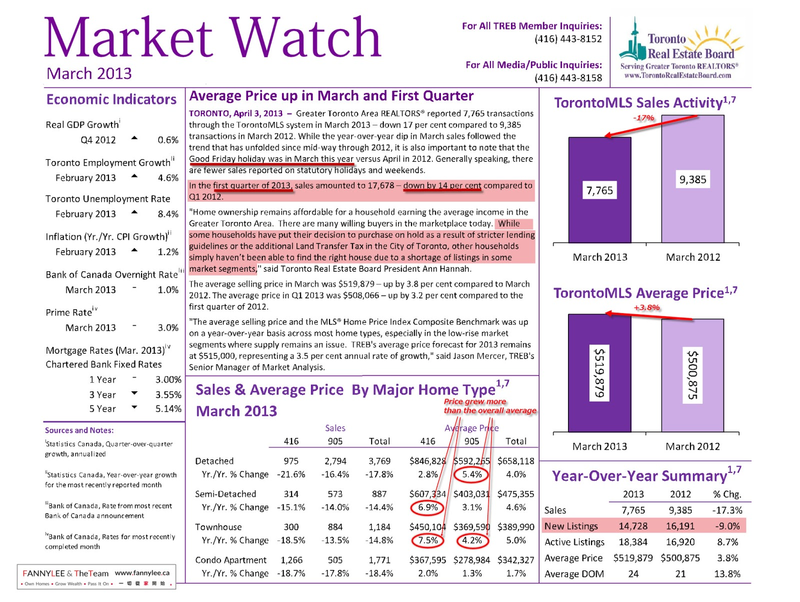 - There were less new listings this March (-9%). 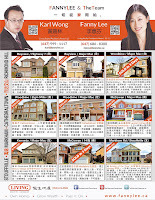 For the detailed Market Watch report, please refer to www.torontorealestateboard.com.